DAT is the biggest online marketplace for shippers and receivers. Truck load boards offer a faster and fair price solution for everyone. What is a Load Board and How do they Work? To better understand what a Trucking Load Board is, let’s start with an easy scenario. Company X makes widgets in their warehouse in Denver, Colorado. They’ve started to get some interest to sell their widgets in Los Angeles, California. Now, Company X has to find a way to get their widgets to Los Angeles in order to sell them. And of course they want to get their widgets from Denver to L.A. for the best price possible. So Company X could spend hours calling around to a bunch of trucking companies in order to get the best price. Or they could simply list their “Load” or “Freight” on a Load Board. To start with, Company X would contact the Load Board by telephone or their website and list what they want to ship. They will essentially be creating a Bill of Lading which is a document issued by a carrier which details a shipment of merchandise by description, weight and other identifying information and gives title of that shipment to a specified party. Once the Load Board has all of the pertinent information, they will list Company X’s freight on their Load Board. A Load Board is an online market place for Shippers and Receivers to try to get the best “shipping” price for their freight. 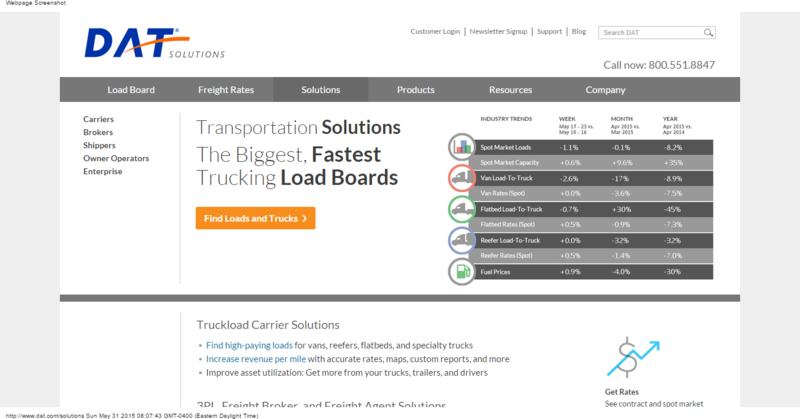 Think of a Load Board as an exchange where Shippers and Receivers can communicate when it comes to their freight needs. Company X can set pricing for their freight by using a set price or putting their freight up for bid. If the freight doesn’t need to be shipped or received immediately it would be wise for Company X to hold out for a lower price. Remember, the shipping costs incurred are actually added on to the manufacturing cost of the item to create a “cost” and then from there the retailer will mark up the item to make a profit. So as you can surmise, getting a really good shipping cost is essential in order to being able to sell goods at a good price and also maintaining a good profit margin. Who is Served by Trucking Load Boards? Now let’s examine who is served by utilizing a Load Board Service. The obvious first customer that is served by the load board services is the shipper. As mentioned before they could spend many hours on the phone calling and searching for the best prices for their freight. 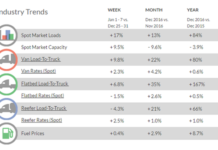 The load board creates a great cost-saving alternative for the shipper to find transportation companies to haul their products. It also helps shippers and receivers save money by broadcasting their needs over many channels to get a broad response. This helps the shippers and receivers to keep their costs down. The next part of the chain that benefits from Load Boards is the trucking or transportation companies. This allows the companies or even individual drivers to spend less time hunting for loads and more time scheduling loads. When the trucks spend more time on the road hauling freight, the more profit they make and the products make it to their destination sooner. This creates a well-oiled transportation industry all around. The last group of people to benefit from Trucking Load Boards is everybody. When goods and services are placed out on the open market and allowed to benefit from the ups and downs of our capitalistic structure, everyone wins! Utilizing the supply and demand foundations, the everyday consumer will benefit from the best prices. This means that the consumer will not have high shipping costs passed to them during the markup process. Where Can You Find a Load Board? Where can you expect to find a load board? Load boards are available inside most truck stops. Also, with the huge advances in technology, we are able to have Load Boards delivered right to our mobile devices. We can browse the average freight prices, see what loads are available and also book freight from almost anywhere. If you compare that to 10-20 years ago the only place you’d find a Load Board would be in a Truck Stop or by spending hours and hours on a payphone. As mentioned previously with today’s technology, now more than ever its very simple to find a Load Board to either list your freight or to help you find some freight to haul! Truckers Logic is proud to be affiliated with The Trucker’s Edge which provides access to the DAT® Network, North America’s largest marketplace for freight loads and trucks. 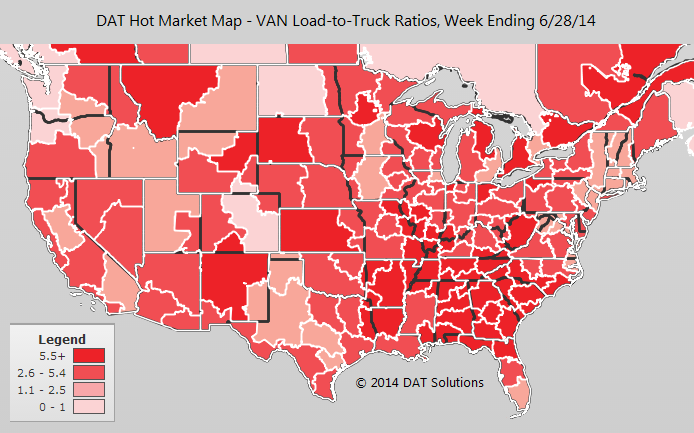 Today, the DAT Network is the largest, and most trusted marketplace with 80 million loads and trucks per year. So if you are looking for a Great Load Board, give the DAT Network a try and make sure you tell them that Truckers Logic sent ya! Trucking Load Boards are very important to keep the transportation industry moving smoothly. They also help to keep the freight prices fair for everyone by creating an open market for freight. If Shippers and Receivers didn’t have access to freight prices, the trucking companies could charge whatever they wanted. And on the other hand, without access to those same freight prices, trucking companies wouldn’t know if they were severely under or over-bidding which would cause frustration between the two parties. Another reason to take advantage of a Load Board is that it’s faster! Sign up in minutes, they have toll-free numbers to call. They have excellent customer service! You can list or find your next load in minutes. And the great thing is that you’ll have multiple eyes on your freight in order to get you the best price either way. If you are a shipper or receiver you can call 866-487-8253 (don’t forget to tell em Truckers Logic sent ya) or you can go to their website Truckers Edge and get signed up and list your freight within minutes. If you are an independent driver or a small to large trucking company you can call 866-487-8253 or sign up on Truckers Edge and find you some freight to haul today!